Today's guest is comedian John Crist. He's a funny guy with a very homeschooled way of looking at life! We talk about how to be a better comic. We plan funerals. We talk about why some things are funny and while other things aren't.. or is that true? We discuss today's hot topics and we make fun of them! We're comics. That's what we do! It's the big chat with Denver comedy legend Andy Juett. We fix all the world's problems and make some new ones! Take the ICE BUCKET LIST Challenge AND win FREE passes to a movie screening! Everyone is doing the Ice Bucket Challenge and they aren't even using ICE... WIMPS! and there a chance for you and a guest to win FREE VIP PASSES to a movie!! I'm giving away 3 pairs of VIP tickets to see a preview of The Trip To Italy with Steve Coogan. The first 3 people to write me at McGrew@msn.com will win.. 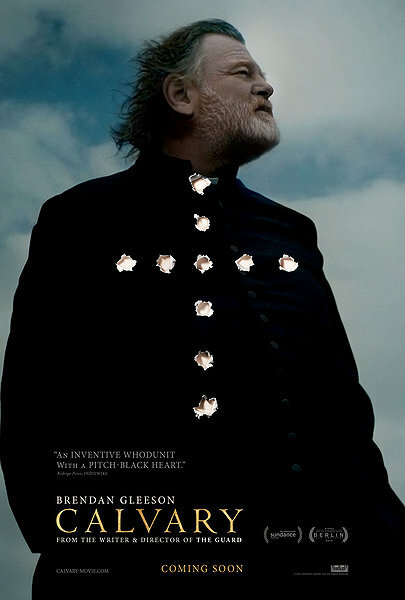 I review the new movie CALVARY starring Brendan Gleeson and Chris O'Dowd. Listen to see if I'd recommend it to a friend! It's Texas comic and friend Carl LaBove. One of the funniest guys working today. We sit and chat about our start in Houston at the Comix Annex all the way thru the Hollywood, Comedy Store and road years. It's a fun hour with a great, positive message.. Enjoy! Hot Topic.. No Really, HOT TOPIC the store! Today, I talk about San Antonio and my recent gig there. Remember the Alamo! Good Mexican food and the heat. Also chat about Ancient Aliens, the TV show and the Aliens.. Do you fear there might be REAL aliens? What's up with Hamas? Why are people hatin on Israel? And I got to the mall today and was impressed with the "new" Hot Topic. Listen and find out why!